Earlier February 26th we said a very large Galactic Federation ship with 49 smaller ships 250 feet wide caried inside was coming on 7th. They’re here. Remote viewing with John Vivanco confirmed there is an elite force, galactic police on these ships to enforce Universal Law. They wear dark purple uniforms with a belt across the chest. In a past life I was one of these warriors and know who they are and their training. Their technologies are unsurpassed and their training is liken to Ninja or Jedi. There were humanoid felines as well that can move so fast your eye can barely follow. Neither John or I were able to know their mission, yet it seems to be obvious. I was told everything is in place the end of tyranny is near. March will be known as the month of enforcement. Not just on Earth but in the other dimensions surrounding Earth. The Schuman Resonance has been off the scale, the electromagnetic light spectrum has increased exponentially, and the Central Sun connected to all the other Suns has pulsed it’s message. It is time to release the past and evolve beyond the lower frequencies. Fear, guilt, unworthiness, greed, jealousy, wounds and traumas from past experiences need to be released and healed. Self-service at the expense of Humanity and the Earth is no longer acceptable. Nor is the unconscious gross uneven dispersal of wealth and the system that supports and perpetuates it. 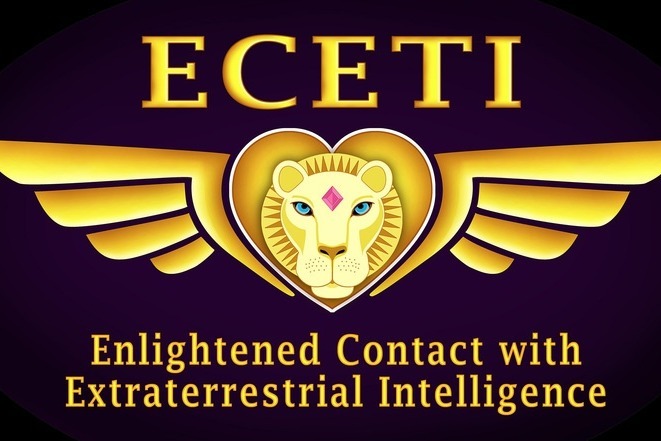 The last of the negative ETs, Reptillians, Greys etc are being removed. Those that practice Satan worship, black magic, child sacrifice and pedophilia will find their puppet masters gone and suffer the reaction. The multidimensional hammer is coming down. There is nowhere to hide. What the light workers and white hats have been waiting for, long overdue in most opinions has finally arrived. Everything is in place from the 13th dimension on down to the 3rd. It is going to be a wild ride. We have to forgive, release the past, become personally responsible for our attitudes and emotions. Blaming others, projecting, denial will not bear fruit. The world of opposites you have been living in, the social engineering, suppression and enslavement of the less fortunate is all coming to a close. It won’t be overnight, but it will unfold very quickly. If one were to truly know the depth of decadence, the years of deception, suppression and enslavement, the magnitude of the cleanup one would understand why it can’t happen overnight. Many would go insane if the entire truth were to be made known without time to adjust. When entire be lie f systems are found to be lies it is a shock. The real history of Earth, the origins of your religions, the true nature of God/Creator/Great Spirit for many will be a very hard pill to swallow. Some already have. It is often referred to as the red pill yet there is more to that story. We are at war not only with bones and flesh but with principalities and forces unseen acting out through spiritually and morally bankrupt puppets. Do not forget a man’s/woman’s character is established through their actions. Look behind the curtain, not at what they say but what they do. You cannot take from the poor and live in luxurious mansions while at the same time represent the poor keeping them distracted with the separation game, playing the race and gender cards. Those that do will be exposed for their double speak. Actions outside of Universal Law will have karmic reactions yet this will be accelerated in the days to come. Pray, meditate, join with others of like mind, act with impeccable integrity aligned with Universal Law and the path will be made clear. Know there is enough resources for everyone to live a loving, joyous, healthy and prosperous life. Yes everyone. Replicators, med beds, free energy, anti/counter gravity, fast and efficient building methods are real. Those suppressing these technologies and those who have created the manufactured lack will be removed. If you can imagine it, if you can find yourself worthy of it, if you can demand it, and if you are willing to work for it, it is yours. Live the dream by stepping out of the nightmare. For this week’s issue, the first message in The Gabriel Message Book and Cards helps us remember that we are here to bring Heaven to Earth by honoring and respecting ourselves first. I was raised in a military family, and that patriarchal system had no room for honoring of the feminine. They had many strict rules that I rebelled against when I was there. Ironically, when I was no longer in that system, I found that I had adopted those same rules as my inner voice! I became a hard taskmaster, requiring perfection for myself. I was merciless when I failed to achieve that status…which was always. This caused me to continuously feel I was not good enough. The Angels said to me, “Allow yourself to be enfolded in Wings of Pure Love.” It was so sweet sounding, and I had a very great need by that time to open my heart and be blessed. When I surrendered to the Higher Power working through me, I found to my surprise that allowing myself to receive the Light of Divine Love was the most nourishing thing I had ever done. I was always one to give others kindness and compassion. Giving myself what I would give to others turned into a new experience for me. I found that Compassion is a Force of very high-frequency energy that could empower me on new levels. I ask to be a blended being, bridging Heaven to Earth through embodiment of my Divinity. Allow me to receive more Love, more Wisdom, more Communion with Divine Light throughout my physical, mental and emotional bodies at all times. In all that I do, may I serve to be a greater presence of Love on this planet so that all may know this truth within themselves. And so it is. How does one love oneself? You can start with the small things. Say, “I love you” to yourself whenever you look into a mirror. Remember to give yourself daily acknowledgment for how hard you work, for how much effort you give to another, for how caring you are to your children. For whatever you can think of, acknowledge yourself. If you cannot think of anything, simply acknowledge yourself for getting through another day on earth and doing the best you can do. As simple as this may seem, it is very powerful. They may appear in a variety of ways. You may feel them wash over you as gentle waves of soothing energy that provide you with a sense of well-being and a loving embrace. Or they may appear in your mind’s eye as one scene unfolding into the next in a continuing stream of consciousness. Or you may receive them as insights by looking at a situation or a location in a new way. No matter what form these waves of energy take, they are inviting you to open to new possibilities and ways of being. They are calling you to view the multidimensionality of life. In a third-dimensional perspective, events, locations, and situations appear in a fixed, static way. They may seem to be solid with no possibility of any change in the current appearance. When you look at them with an openness to new possibilities, you are viewing them from a multidimensional perspective. As you let your awareness soften, you may be able to see how other dimensional possibilities are existing simultaneously with the third-dimensional one. They may appear as layers superimposed on each other. The reality that you perceive depends on your focus and vibrational frequency at the moment. It could be compared to tuning in to a different channel on your television. If you are focused on conducting the activities that are a necessary part of your daily life, you may be tuned in to a third-dimensional frequency, and you will see a situation from the perspective that is in front of you. When you raise your vibration and focus on other perspectives, you are able to perceive higher dimensional possibilities. They may present themselves as a new way of looking at things, a new course of action, or a different way of being. 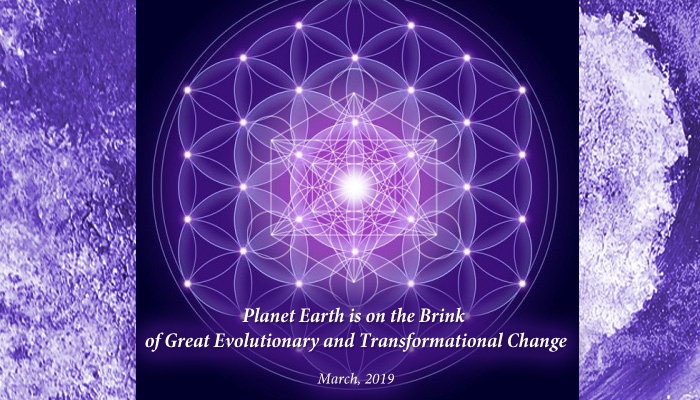 They are there to offer you opportunities to see the ways in which energy is shaped by your own reality and that you have the ability to rise higher on your ascension path when you are aware of higher dimensional possibilities. For example, you may be working on a project that can be completed easily but only benefits a few people. However, when you tune in for inner guidance and remain open to new possibilities at different dimensional levels, you may receive a solution that could be approached in another way and will benefit everyone concerned. It is a difference in perspective and vibration. Being aware of these different levels does not mean that you automatically choose them over what you currently have. They may present themselves for you to open your awareness so that you can choose whether to stay with your current view or alter it as appropriate for this part of your ascension path. They appear to let you know that there are many options and that you are not at a fixed or unchangeable point of energy. In another example, you may hold a certain view about a particular topic. You have had this view for many years. Then one day you get a glimpse of another point of view around that subject. It may come from something you hear or read, or it may seem to float into your awareness. You can stay with your original view, or you can remain open to seeing it in another light and modifying your view. You shape your reality with your thoughts, emotions, and intentions. This is part of your earth plane being a free-will planet. When other possibilities appear, they are providing you with choices so that you can select what seems to be most appropriate for you at the time. Then if you arrive at another point where you want to make a change, you have already received an awareness that other dimensional realities exist. You can evaluate a new possibility first by seeing how it feels in your heart center. Does the new possibility carry a loving feeling? Is it for your highest good and the greatest good of all? In the higher dimensions a loving vibration and a desire for highest good are needed to work with the higher frequency energy. Then you can determine whether it is feasible and a good fit for you. It may be just a glimpse of a possible future, but it does not mean that you must embrace it or provide the energy for it to be become a reality. When you open yourself to see new possibilities, you become less attached to a fixed way of thinking. You become aware that there are different ways of perceiving the same situation. This opens you to receive higher dimensional information and energy so that you can assimilate it into your field if that is your desire. When you surround your energy field with a vibration of Love and a desire for highest good, you are able to rise to higher states of being. Beloveds, we are happy that you are opening to new possibilities while keeping a desire for highest good. All Rights Reserved. Posting on websites is permitted as long as the information is not altered, excerpted or added to, and credit of authorship, including my name and website, is given. Linda M. Robinson, www.PersonalPathwaysOfLight.com. This information may be published in journals, magazines or public print only with written permission. Email: Linda@PersonalPathwaysOfLight.com.